What’s the point of developing a great WordPress website if nobody finds it? To improve your brand’s visibility, you should consider SEO. Organic traffic is your best asset since it starts flowing toward your website and it’ll consistently bring new leads and customers for free. 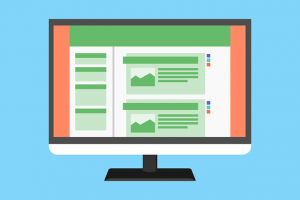 Here’s a list of 11 SEO tips for your WordPress website. Google’s let people know that site load speed is a ranking factor, so you’ll have to play by Google’s rules and get a great hosting service, an optimized theme, and caching. User Experience is the satisfaction and fulfillment of the website visitor/prospect/customer. Google wants to provide relevant results to its users, so a good way to start is to build an email list and improve your relationship with your customers. This will indirectly lead your WordPress site to higher rankings. A roundup post involves gathering answers and/or comments from various sources (usually professional ones) and putting all the data into one single article. If promoted properly, such a post will generate a lot of social shares and backlinks, which in turn will improve your brand’s reputation and search engine rankings. Social media influencers are users that influence social media in some way; this can be professionals or anyone with established credibility in a certain industry with a large audience. They’re great assets in SEO because if they give you exposure, then from it comes social recognition, and you’ll ultimately have more traffic! If you want backlinks, post content that asks “what” or “why”. Don’t use clickbait techniques as it won’t help in the long-term. Publish your content consistently and you’ll show Google that you’re actively involved in the growth of your brand’s value proposition. If you’re not a great writer, just outsource to a writing service! Find broken links and replace them with ones! How does this work for you? You just let them know that one of their links is broken, and ask the webmaster to replace the link with your link instead. If s/he accepts, you’ve got yourself a backlink! Get Google Analytics and start to track, measure, and optimize your SEO efforts. After you write new blog posts on your site, link back to your old ones and vice-versa. This is part of On-Page SEO: you’ll want well-set headlines and summaries so people will know what to expect. Quality matters more than Quantity these days. This is done by improving the content you post. Long-tail keywords are going to attract targeted traffic. This involves individuals looking for something very specific. When a user visits your site through a long tail keyword, then s/he has found something very relevant! Feel free to reach out to us for more info! 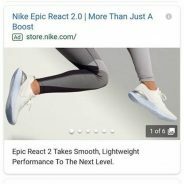 Posted by on Feb 23, 2019 in SEO Articles | Comments Off on Not just for auto anymore: Google tests giant image search ads in new verticals. Remember when Google introduced that giant model automotive ad format to advertisers a few years ago? Well, it appears the format might be expanding to more verticals. The format features multiple headlines followed by a large carousel of images and a description below. Users can swipe through the set of images in the ad. Clicking on any of the images brings up a Google-hosted page of all the images and their captions. A card with a link to the advertiser’s site is at the bottom of that page. Just like any other text ad, clicking on the headline takes you to the advertiser’s site. Testing, testing. This expansion is just a test for now. “We’re always testing new ways to improve our experience for our advertisers and users, but don’t have anything specific to announce right now,” a Google spokesperson said when we asked about this. Why you should care. Google has tried images in search ads in several variations — visual sitelinks being the latest. This bigger, splashier format is high impact and demands little effort from advertisers, particularly in verticals likely to already have a diverse selection of high-quality product imagery. Whether this is rolled out will depend on performance, of course. Bigger ads (RSAs anyone?) typically lead to higher engagement rates. And Google knows from Shopping ads that images can drive high engagement. But will these new ads convert? When the automotive ads launched, Toyota said it had seen higher conversion events at a lower CPA than standard text ads. The model automotive ads have now been in rotation since 2016, which means Google has more than three years of data on how they perform. It’s also interesting to see this test showing up on a non-brand search query. Model automotive ads typically show only on brand searches. The post Not just for auto anymore: Google tests giant image search ads in new verticals. appeared first on Search Engine Land. So I’ve decided to permanently shut down our link building services and all other services which include the blogger outreach service, citation building service, curated links service, SEO audit service, and 1-on-1 SEO consulting. Why am I closing a division of my business that’s been growing consistently for 3 years? In 2017, I shut down all of my client SEO contracts despite the fact that I was making over $60,000/mo doing client SEO. Most would view this decision as “insane”. But this was a necessary decision so that I could dedicate all of my time and energy towards Gotch SEO Academy. I was willing to make less money for a short period of time because I knew that teaching is what I truly love doing and it’s best way I can serve people. Even in 2018, I was still one foot in and one foot out. While I was no longer doing full service SEO, my team and I were still operating our link building services. That’s why on February 28, 2019 we’ll be permanently closing these services. It doesn’t feel “right” for me to educate someone on the process of building backlinks and then turn around and try to sell them my company’s link building services. Plus, it makes me a lazy teacher because I can say “just use our service so you don’t have to do it”. My job is to teach people how to do SEO and how to get results on their own. Anything that takes away from that is unacceptable for me personally. This doesn’t mean I’m against buying backlinks. I just personally can’t sell them because it doesn’t feel right. Back in 2013, I packed my stuff and drove to St. Louis to pursue an SEO career. I was $40,000 in debt, had no job, had no clients, and had to live in my now mother-in-law’s house. I applied to work at every SEO agency in St. Louis and only received one call back and interview. I didn’t get the job. Not to mention, I was applied for an SEO position when I was still in California and didn’t get hired then either. I’m not going to lie… I was fearful at this time. Those thoughts are nothing more than lies. Fear doesn’t want you to succeed. Every time you push through the fear, those little thoughts get weaker and weaker. That’s why back then, I decided that instead of trying to get hired as an SEO, I would take on clients instead. And I’ll be honest… I had a chip on my shoulder. I wanted to teach the agencies that ignored me a lesson. I’ve grown up since then, but it was definitely a driving force. Within 30 days of making my decision to take on clients, I moved out of my mother-in-law’s house and got an apartment. 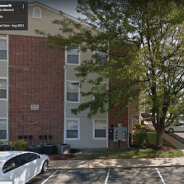 For all you stalkers, 14480 Tramore Dr, Chesterfield, MO 63017 is the address to my old apartment. If you do some stalking online (just search “tramore” + “gotch SEO”), you’ll be able to find business listing using my old address. I went from $3,000/mo doing client SEO to making $18,000/mo + in less than 6 months working from that tiny apartment. Well, hopefully it helps you to get an inside look into my journey because I know that can be super helpful. But it’s also personal reminder to me that I’m conquering the third stage of fear in my career as an SEO and entrepreneur. Despite only be 50% focused on Gotch SEO Academy in 2018, last month (January 2019) was the biggest month I’ve ever had in my business (WITHOUT clients)! So, while firing my clients may seem “stupid” in the short-term, it’s paid off in the long-run and will continue to. Not only does focusing help your business, but it’s also better for your customers (which is all that matters). I can now dedicate 100% of my time and effort on training, coaching, and supporting every single person who’s already in Gotch SEO Academy and who decides to join in the future. That means you can save 20% on our blogger outreach service, citation building service, and curated links service for the next two weeks. I’m also going to shut down all SEO consulting and SEO audits for the rest of 2019. There’s a chance I won’t accept new clients in 2020 either. So, if you want my 1-on-1 SEO help or you need my team and I to audit an SEO campaign, then you need to jump on it in the next two weeks. Like the link building services, use coupon code “lastchance” (without the quotes) at checkout to save 20%. The deadline to invest in our link building services or get 1-on-1 SEO help from me is on February 28, 2019. THERE WILL BE NO EXCEPTIONS. Thank to everyone who’s used our services throughout the years. I’m so incredibly grateful to have served you and I wish everyone the best of luck in their SEO endeavors! Blogger Outreach Service – Get contextual links on real blogs without effort. Citation Building Service – Business listings for local businesses. Curated Links Service – Get contextual links in aged content on real blogs. SEO Audit Service – Find out why your SEO campaign isn’t working (now with video walkthroughs from me). 1-on-1 SEO Consulting/Coaching – We’ll work together to improve your SEO and digital marketing performance. Use coupon code “lastchance” (without the quotes) at checkout to save 20%. You get unlimited uses of this coupon until the deadline. Have some questions before you order? Email me directly at nathan at gotchseo dot com and I’ll help you out. Thanks again for everything guys & gals. P.S. I have some insanely helpful stuff coming out soon. One thing that I’m really excited to show you guys is a new product that’s going to save you massive amounts of time and help you scale your SEO client services (faster than ever). BOLO. Always add images in columns and rows. This creates a nice look and lets the visitor see all the images at a time. Also, images have to be original and contain a caption. Your title is important since it’ll be the first thing to appear before the searchers, so make it impressive and exceptional using the focus keyword. Making your article organized, you should create a specific segment, and a specific heading therein. To create heading 1, 2, 3, or more in WordPress, you can simply select the text and click the button that says “paragraph”. Readers are more attracted to information that’s bulleted rather than being written in a typical style, so keep important information under bullet points. Simply click the ‘Bulleted list’ option which is available on the front line. Post with an intriguing summary on the archive and home pages. Eventually, the pages will load rapidly, page view will increase, and facsimile content on your site can be avoided. Meta is the short one-line description of the topic which you have in the article. In it, write down the importance of the topic for what the visitor should visit your website. While writing it, always conform to the length set by WordPress. Otherwise, it will become valueless. Adding horizontal lines may seem to be trivial, but it is equally important. You can place such a line just below every heading to make the headings more visible. Adding categories means giving the visitor a preview of your writing. They can easily understand what sort of product or service has been presented inside. Also the search engine can easily display your article to web visitors if their searching category matches yours. Nothing is unimiportant in WordPress, and the featured image option is just one example. You can set a great image that’ll represent the entire article and draw visitors’ attention, but your featured image can’t be copied. A focus keyword refers to the focused topic that has been strongly highlighted in your writing. When you set the keyword in the box, WordPress will show you its keyword density. You have to modify the density according to the report of WordPress. Besides setting the focus keywords, don’t forget adding some more related keywords because those must also be present in writing to a specific volume. Remember that creating related keywords require sound knowledge of the focus keyword and its synonyms. Once writing’s completed, don’t be quick in publishing it right away. Instead, check the entire article by yourself as a reader using the ‘Preview’ option. If you find everything okay from the perspective of a reader, only then publish it. Insert specific internal links into a post so when users click on any of those then that specific article gets more visitors. But, never insert the links just anywhere – make sure you link in a way that flows with the article. Sometimes adding images may not be enough to make your reader understand your entire topic or specific point, so it’s wise to insert relevant and original video using the ‘video’ option. If your topic is something that can be downloaded or signed up, then leave a button at the end of the post inscribing ‘download’ or ‘signup’. This will impress visitors. Tags are very important for your WordPress site since those help your post appear before the searchers’ screen when they search something relevant to your topic. Ergo, choose tags wisely, and add as many as seems to be relevant. WordPress is very versatile. In the hands of the right team, it can lead to impressive websites that has plenty of traffic. But in the hands of beginners with zero experience and desire to learn, it’s going to be wasted potential. You’re not a beginner, right? You want to learn how to make the site better. You started this WordPress project not only because you wanted to promote a brand, but also because you’re willing to enter the online world. Of course you want to reach the best possible version of your website, so here’s a list of 10 tools that can help you achieve such a goal. When you’re trying to build a successful WordPress site, it all starts and ends with search engine optimization. It’s a demanding process, but you need to engage in it regardless. Fortunately, Yoast makes SEO more approachable even for total beginners. It supports better branding by giving you templates for title and meta descriptions. It also sets canonical URLs, so you avoid duplicate content. Plus, it gives you advanced analytics helping you realize what you can improve in your SEO strategy. Even the slightest grammar mistake will lead to mocking comments, no matter how good your content is. This tool will help you avoid any of those issues. Grammarly suggests improvements not only in grammar and spelling, but in style as well. When you install the Chrome extension, it will work wherever you type. If you use Google Drive or you type directly into WordPress, it’ll show where your content is flawed. Let’s be honest: good grammar means nothing if you have bad content. Content is the first and most important aspect to pay attention to. We’re talking about all types of content: text, video, infographics, and images. Since these services are rather versatile, you can hire graphic designers there too. If you need infographics or unique images, you may still count on an assignment service UK. This is one of the most popular caching plugins for WordPress, generating cached versions of your site’s pages without consuming a great deal of server resources. This is a complex process, but this plugin makes that simple and non-technical. Caching is important because it makes your website load faster. That’s what your users expect, so it’s a critical factor in improving their experience. Do you need a multilingual element to your site? You’ll be able to reach out to a larger audience through a single website. But you will need a plugin to make WordPress suitable for multilingual purposes. WPML is great to try! It’s compatible with most themes and plugins. The team continues to improve its features, and you get constant support if you encounter any problems. Your website has to be absolutely safe from any threats. This plugin will first scan your website to make sure it’s clean, checking core files, plugins and themes for SEO spam, malware, malicious redirects, backdoors, bad URLs, and code injections. You get all that for free. But if you pay for Premium, you’ll get real-time malware updates as well. But Wordfence Security doesn’t stop at checks. It also compresses plugins, themes and core files to make your website much faster! Make it really easy for your visitors to share content from your website to social media. This is one of the best ones you can use. The buttons look nice. The tool will also show the number of shares on different social media platforms. That adds social proof to your site. When people see that a particular piece is highly popular, they will also be encouraged to share it. Broken links make a bad impression to your visitors. When someone likes your content and clicks a link you included, they expect to find valuable information there. If the link is broken, the visitor won’t be happy. It also hurts your SEO. Google is smart. The search engine wants to prevent users from disappointing experiences, so it won’t take them to pages with broken links. This plugin allows you to avoid any of those problems. It will check your site for broken links and lost images, and it will let you know. You won’t develop content just to publish it and share it once on your social media. You’ll want high-quality content to be reusable, so it will keep attracting people to your website. You can feel free to share old, but still relevant pages with your followers. But you don’t want to get boring with that. This plugin lets you set the time and posts you’d like to be shared. It will do the job automatically, so you can just set up the plan and forget it. Designing and maintaining the perfect website is not enough. You have to invest resources and energy into digital marketing. SEMrush helps with that. 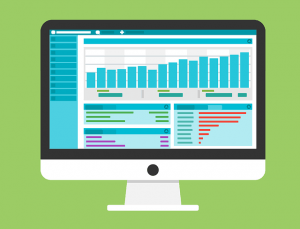 This SEO and marketing tool will boost the search engine optimization, paid traffic, social media, and content marketing efforts regarding your site. You can use it to compare your website to competitors and use those insights to make it better. You’ll see where the backlinks are coming from, how you stand with organic keyword rankings, and what advertising strategies your competitors use. It iss advanced, but a very resourceful tool that you absolutely need. With all the tools and plugins you can use, you can unlock the limitless potential of WordPress. The above-listed tools are just the beginning. Start exploring and you’ll get hooked. We make most decisions together as CEO & co-CEO. Our temperaments are mutually reinforcing and this contributes greatly in allowing us to make balanced and informed decisions. KT: How is your relationship with your partner Dmitri Melnikov? OS: I’ve known Dmitri for more than 30 years. We grew up in the same neighborhood; we started programming together and over time our friendship expanded into a business partnership. We’ve gone through lots of ups and downs together. KT: To be successful in the tech industry do you consider a person has to go to college or can they be self-taught? OS: Formal education greatly enhances discipline and concentration, helps you socialize and find the right and important people — to network, if you like. But a lot of leaders I know are self-taught. Back when I was a student, people had pretty much no idea what SEO was, or how important (and complicated) it would become over the years. Students should be aware that their knowledge gets outdated fast. They need to be prepared to dedicate a lot of time to continuing self-education. The IT industry is developing extremely quickly. That’s not to say that college education is not needed at all (it definitely doesn’t hurt to learn some basic stuff in college), but other than that…like I said, I don’t deem formal training to be absolutely essential. With all the online courses and workshops, it’s possible to study everything remotely. KT: Does SEMrush have corporate social responsibility initiatives? Such as giving scholarships for people that dream with tech careers? Or any other? OS: At the moment, we work closely with American and European universities and give students the opportunity to explore SEMrush. While learning digital marketing, they familiarize themselves with our tools and work on their projects with the help of SEMrush. Representatives of our company give a lot of master-classes to students, providing them with the insights about digital marketing. We organize a lot of meetups, roundtables and conferences on digital marketing and agile. We always welcome other IT companies to take part in such events. Lots of lectures, a great deal of useful insight, plenty of opportunities for networking — these are just a few reasons to come by our events. On a different note, we certainly care about ecological sustainability. We are going to implement waste separation in all our offices and we encourage our employees to cycle to work to reduce CO2 emission. KT: Where is SEMrush headed in the next 5 years? OS: We are definitely going to add more features to SEMrush, while enhancing our content tools, along with local SEO and traffic analytics (Competitive Intelligence 2.0). We want to ensure that we remain the leading digital marketing software. As for strategic plans, we are going to strengthen our global brand. At the moment we’re working diligently to enter emerging markets such as China — right now, we are updating our databases to cover Baidu data. We’ll also introduce tools that help figure out how to rank better on Amazon and optimize for voice search. This is just a minor part of what is coming. There are a lot of other things we are working on, but we’ll keep them quiet for a while! Hint: 2019 is going to be a big year for us. KT: What are your biggest pain points as SEO thought-leader? What additional support/buy-in do you think most companies struggle with to get on board? Does this result in limiting their growth opportunities? OS: SEO is multidimensional and its development is extremely rapid. 5 years ago we couldn’t even imagine that image search or voice search would be everywhere. Such technological growth involves non-stop education and creative thinking, both from my side as a thought-leader and from the side of companies trying to get on board. One more indispensable thing to get on board successfully is to have some unique feature, to understand your uniqueness and, crucially, to communicate that knowledge to your audience. Such an environment of extrinsic value, created for your customers, will also help build strong and long-term relationships with them and will directly affect customer retention. KT: What will impact the traditional SEO from Voice search devices in the coming years? OS: The share of voice searches is growing, along with the amount of voice-activated smart speakers. Naturally, voice searches are different from the searches that are typed — the former are longer and the wording is different — more conversational. Voice search is about questions, prepositions, and comparisons – the same as with featured snippets . If it’s not an informational query, people are likely to search for location-based info. Backlinko’s study claims that 40.7% of answers come from the featured snippet. Our SEO clients are putting more and more emphasis on this feature. Questions, prepositions, and comparisons dominate featured snippet results. A whopping 52% of questions have featured snippets. KT: Can we get a dashboard or report on voice search? OS: There’s no single dashboard or report on voice search in SEMrush (at least for now) but some of our tools help find solutions for voice search optimization. For instance, featured snippet checks or mobile devices optimization — this contributes to voice search ranking. KT: What’s the most popular SEMrush feature and why? OS: Everyone loves us for Keywords Research tools, but there is so much more to SEMrush. KT: What’s a feature of SEMrush that is less utilized and why? KT: What is diversity like in the tech industry? Do you think there is gender bias in the tech industry? OS: Judging by what the media says, there are indeed a lot of problems with diversity in the tech industry. In SEMrush we want our company to be equally welcoming to people of any race or gender. About half of SEMrush C-level employees are women and we believe they are awesome specialists who help make SEMrush an industry-leading company. My favorite answer is the last one because I am an advocate for equality and inclusivity. In my conversation with Oleg I also learned that SEMrush’s headquarters is now in Boston. To summarize the success of SEMrush, it is based on a great communication within its talented partners, a great culture of inclusivity, and the amazing people that work there. The post Q&A with SEMrush CEO / Cofounder, Oleg Shchegolev appeared first on Search Engine Watch. Who can believe that it is nearly 8 years since Siri came into our lives? Immediately, we all loved it, finding the new technology fun and practical, albeit with a few funny results at times! And the truth is, we probably thought that it would stay where it was, never growing into being a major digital trend that would affect all types of user searches. Siri has now been joined by Alexa, Cortana and a few more and is now consistently being used on mobile devices. The use of voice assistants is certainly growing when it comes to being able to use simple commands and the potential for this to transform into search marketing is huge. Google tells us that since 2013, voice recognition accuracy has improved by 95%. Their research shows that people use voice search because it is so easy. It enables them to multitask, receiving answers much faster and not having to waste time typing. This brings us to businesses. Voice search optimization is hugely important as people often use it to ask questions about a business they need to locate or identify. Whatever type of company you have, you should be looking to optimize your website in order to deal with voice search queries. Whilst it is possible to get your existing website optimized for voice search, it is much easier to do it from the start. Stand out head and shoulders above your competitors by focusing on voice search optimization when developing your website and content from day one. Here are some changes that we recommend you make. Queries are not going to work in the same way. You need to consider semantics and the way that people speak. A verbal question is going to be totally different from a search engine typed request i.e. Spoken: what is the best TV to purchase in 2019? Think about the questions that will be asked and tie these into your content, focusing more on natural language than on keywords. The trick here is to capture long-tail SEO as a lot of searches made via voice are much longer than text searches. When discussing changes to your site with your web designer and content creator, make sure that they know that you want to maximise your new website for voice search capabilities. Think about the questions that will be asked by voice and then map them out in accordance with what the customer will be looking for on their journey through your website. A good way of doing this is to include FAQ pages into each main section. Always remember that unlike text search, which provides multiple responses, voice search only provides one answer. It is therefore crucial that your content is as attuned as possible to the likely voice queries. Your site also needs to have a sitemap that is submitted to the Google Search Console. Google also likes it if you use structured data. Your web designer will add this to the page’s HTML mark-up. Google then uses this to produce rich snippets i.e. small pieces of information that show in search results. This can boost your voice search results by ensuring that answers are extremely relevant to the question being asked. Your web designer will likely do this automatically once they begin to focus on voice search optimization. By creating Google Actions, your content will be made more accessible to the Google Home Assistant. Similarly, this can be done for Amazon Alexa. This makes it more relevant when voice commands are used and will make it easier for users to interact with your site, having productive conversations related to your content. It is worth remembering that the majority of voice searches come from mobile devices. It therefore follows that if you optimize for mobiles, you are also doing so for voice searches. Being mobile friendly involves such things as improving your site speed. Many voice searches are also location based so always refer to the address of your business as well as the area of coverage. It is also a good idea to list your company via Google My Business. By optimizing your site for mobile SEO, at the same time you will be ensuring that it is ready to cope with an influx of voice related queries. So, is it possible that voice commands will one day take over from written search queries? There is no way to know at the moment, but it is clear to see that voice commands are going to impact upon search marketing in a big way. If you take search engine marketing seriously, then taking steps to optimize your site for voice search should come naturally. Whatever type of business you have, getting your site optimized for voice search should be high on your agenda for things to do. Home voice assistants are going to become even more popular and, as a result, people are tending to use more voice commands on their mobiles. All the big players are looking at developing new features and capabilities as the demand for voice search increases. Google is already looking at adding data for voice queries to Search Console so this is one new area of technology that will be incredibly useful, providing valuable insight into how users are using your site via voice search. If you are ready for these future developments and work with a web designer that is always on the lookout for new trends and technology, you can be one step ahead of the competition. With research showing that by 2020, 50% of searches will be done by voice, you cannot afford not to get your site optimized for voice search. With the sales of smart speakers, wearable tech and other IoT equipment also escalating, it is clear to see that we are heading into a voice-oriented realm. The way that consumers search has changed incredibly and is on the move again. Just like we moved into a mobile-first arena, voice search is now catching up. If you want your business to keep up with the times, then it is necessary for you to get your website attuned for voice search, whilst optimizing your content at the same time. Voice search optimization may not be the same as traditional SEO, but it still follows the same principles and taking account of it will ensure that your website is able to cope with both voice and wearable tech searches. By taking note of the information that we have given above and including these approaches into your voice search optimization plans, you will be ready to take advantage of new voice search traffic as it continues to grow. There are so many great plugins available, and it’s difficult to choose which are the best for you. To help you decide which tools will make your work easier and more productive, I’ve asked SEO experts to share what they use. Per the experts, I compiled this list of 17 of the best plugins and extensions for SEO — and they’re all free. This plugin is perfect for those who deal with content. SEO TextOptimizer lets you measure the quality of texts you create for your website based on how search engines would evaluate it. 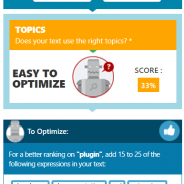 The tool shows you topics you should develop as well as those you’d better eliminate for search robots to understand the text is relevant to the specific queries. The plugin also suggests you a list of words you could add to improve your content. The best thing is that you don’t need great SEO expertise to use it. With SEOquake plugin, you can easily analyze your key SEO metrics. Moreover, the tool provides SEO audit, backlinks analysis, and other useful functions. One of the factors why SEO professionals choose this tool is that you can get a comprehensive analysis of a SERP and even export its results. There’s a bar appearing below each search result which provides you with key metrics such as traffic, Alexa rank, social media shares, etc. This extension lets you find what a website you are visiting at the moment is built with. It’s created to help developers, designers, and researchers to discover the technologies other pages are implementing and choose those they want to use for their sites. Experts also say it’s great you can easily get global trends on using specific technologies. It’s an extension which helps you conduct SEO analysis of a page. Serpstat Plugin provides the most critical information on keywords, traffic, and page visibility. You can also get the report on the top 10 keywords for which your page ranks at the top of search results. Domain’s visibility trend for a year. The number of results on Google, Bing, and Baidu. The number of images on Google Image Search. The number of shares on social media networks (Facebook and Pinterest). The plugin is free, but to use it, you need to create your Serpstat account, if you don’t have one yet. Add meta keywords, title, and description to your posts. Provide clear site navigation for crawlers and users. Analyze your on-page SEO. You can check your content, descriptions, and keywords. See what your snippets will look like. Create SEO-friendly Facebook Open Graph. This WordPress plugin has a very quick and easy-to-use interface. This tool evaluates web content accessibility within Chrome and Firefox browsers. WAVE provides 100% secure and private accessibility reporting. The plugin checks password-protected, intranet, sensitive or dynamically generated web pages. The performance of your site for all the keywords. The technical audit which analyzes more than 40 hard-to-find issues. It’s a great tool for tracking redirect path. The tool analyzes HTTP Headers, rel-canonicals, robots.txt, link power, etc. You can use Link Redirect Trace extension to analyze your competitors, your on-page and off-page SEO, and other critical factors. Identify and fix problems in your on-page/off-page SEO. See the redirect chain and fix problems to make your load time faster. After your site was redesigned or migrated, you can check your links. Check links from affiliate and advertising networks. This plugin is a perfect toolkit for digital analysts. This add-on lets you monitor, debug, get detailed data not having to switch between the page, the code, and the developer console. With this tool, you can inspect the dataLayer in real time, insert code into the page, analyze GA hits, ignore hits to individual properties, etc. The tool will help you switch quickly between user-agent strings. If you want to test how your page responds to different browsers, this plugin will let you do it. Due to User-Agent Switcher, you can browse with predefined user-agents or add your own ones. Traffic stats. Graphs from Alexa Rank, Quantcast Rank, Compete Rank. Indexed pages. You’ll see the number of pages indexed in Google, Bing, Yahoo, Baidu, Yandex, etc. Geolocation information, such as country, city, and IP address. The shares on social websites. Meta information, such as title, meta keywords, description, canonical tags, internal links, external links, and more. This plugin will be handy for those who move their WordPress website to another domain and need to update internal links and references to pages. The plugin helps you fix the problem and change old links on your website. Experts say it’s great that you can find and replace any URL in your WordPress database without having to use phpMyAdmin directly. Update links which are embedded in excerpts, content, or custom fields. Choose whether you want to update links for attachments or not. View the number of items updated. Install it only when you need to fix something and then uninstall it. The plugin treats everything it finds. With WP Rocket, you can optimize your images, so that they’ll get loaded only when visitors scroll down the page. Such an action contributes to improving page speed. This tool will be useful for those who want to get rich snippets for their web pages. The plugin is created to help you make your page stand out in Google, Bing, and Yahoo search results. This free plugin helps to accelerate page loading time, improve your SEO, and protect against DDoS attacks. Cloudflare plugin adds value for SMEs/Medium sized businesses, making it very easy to setup CDNs, DDoS Protection, and allow them to utilize edge SEO technologies like service workers. Moreover, you can even get notified when websites start using new tools and services if you follow them. There are both free and paid access available for this plugin. The tool underlines your grammar, spelling, or punctuation errors for you to correct them. It also suggests you synonyms for overused words and gives you tips on how you can improve your texts. To get the most out of this plugin, you’d better use a paid version, as it’ll get you access to the most critical issues. Remember that the more extensions you download, the slower your browser becomes. That’s why it’s essential to know which ones exactly are perfect for you. Free WordPress plugins and Chrome extensions will help you make your work easier, but you may spend quite a significant time looking for those which are really useful for you. So, this list should have helped you circle out the tools you’ll try to implement into your working process. The post 17 top plugins and extensions for SEO appeared first on Search Engine Watch. WordPress dominates world online content marketing and everyone knows that. The platform caused a sensation when it was released in the early 2000s and has become very popular since. In fact, more than seventeen percent of all websites use WordPress. Due to its tremendous popularity and impressive functionality, it gets most of the conversations about content management. Most people recommend using it to build websites for the same reasons as well. However, it would be unfair to focus on WordPress while talking about CMS technology since many other similar platforms exist, and as strange as it may seem for some people, they’re competitive even still. Let’s take a look at other CMS available that are forming the competition. Last year, this CMS celebrated its 10th birthday. It was released a few years after WordPress and has grown into a multipurpose CMS with quite an impressive reputation. Joomla has thousands of developers and website owners for users (around 3.3 percent of all websites are powered by this CMS). Like well-written papers, Joomla’s functionality deserves the highest grade. Not only does the platform feature all things WordPress can do but also has templates and extensions at its disposal, so they do make Joomla a legitimate competitor. Sites known for using Joomla include Harvard, Notre Dame, The Hill, the UN, and Linux. The next competitor is not as fierce as Joomla with a mere 2.2 percent running it (4.7% of all websites with said CMS). However, the popularity of the platform has grown since the release of the latest versions with comprehensive functionality. Drupal is widely perceived as a complex system designed for those who have a web development background. It doesn’t feature a lot of templates or themes because it uses a completely different approach to creating stuff by using modules. Sites that use Drupal: Rush University Medical Center, Tesla Motors, Los Angeles City, University of Oxford, the White House, and Emmy. This is a publishing platform that’s also been in the shadow of WordPress from the get-go. However, it has a number of impressive functions. It has a remarkable import tool that makes publishing painless, plus a built-in audience that automatically connects with the user thanks to Medium social media feature. The platform tells users how many people viewed the publications and how many read to the end, and it doesn’t even require original content to be published. This is another competitor that has been disregarded by many because of its complexity; for instance, this static site generator is written in Ruby and requires NodeJS to run. It can, however, generate HTML pages just by having a text without the database requirement, which is pretty amazing. As you’ve probably realized, Jekyll’s audience is web developers and other people with a web-related background. As great as WordPress is, it can’t be used to create a really good online store. Truth is, it was created for other purposes, so even plugins such as WooCommerce can’t provide all the functionality ecommerce requires. Shopify is one of the best alternatives for those who need to build an online store since it provides all the tools needed for this task. The platform comes with simple tools for setting up an online store – delivery, customer service, complaints, and many more. It also has apps and templates available. Next is Blogger, a blogging platform that Google developed. The number of sites using Blogger is nowhere near the number of WordPress-powered ones (just 280,000), but it comes highly recommended for first-time bloggers who need a small and simple platform for writing online. The simplicity of Blogger is perhaps the main advantage of the platform, allowing to create and run a blog in a matter of hours, so it saves a lot of time for beginner bloggers. Another massive advantage is customization. The drag and drop system enables users to design a custom look of their blog quickly and efficiently. Last but not least is Squarespace, which is a hosted site builder. It works just like Weebly but has a richer functionality, with fully customized and customizable templates. 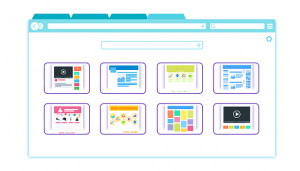 With this tool, anyone can build a pretty decent website very quickly and painlessly. WordPress obviously holds the leadership position, whilst others are trying laboriously to tip the scales in their favor. However, no competitor from this list has even come close to matching WordPress. Yet. That doesn’t mean we should disregard alternatives but rather appreciate the diversity of the industry. The future seems bright for Joomla, Drupal, and others, so let’s wait a while and see what happens. The post Does readability rank? On ease of reading and SEO appeared first on Yoast.